IVSA members benefit from the wealth of experience and knowledge of respected industry veterans and trail-blazers who make up the Board of Directors and Advisory Boards. This team is responsible for bringing forward the issues of the industry at large and liaise with related Liquor & Hospitality Industry groups, Provincial Government leaders & advisors, Liquor Boards, Liquor Licensing and the industry membership. Loden Hotel, Vancouver. 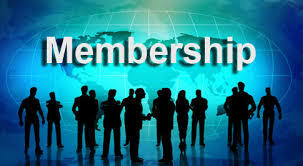 New Advantage Program of up to 25% discount on best daily rate is now available to active IVSA members. TESTIMONIAL: "As a liquor importer, the IVSA New Product Salons are very beneficial. We always seem to make new contacts at the tastings and are able to see many of our current clients, which is helpful as we cannot always get out to see everyone." Assigned based on the agents annual case sales across BC and Alberta. Fees start at $750 per year.